Congrats! 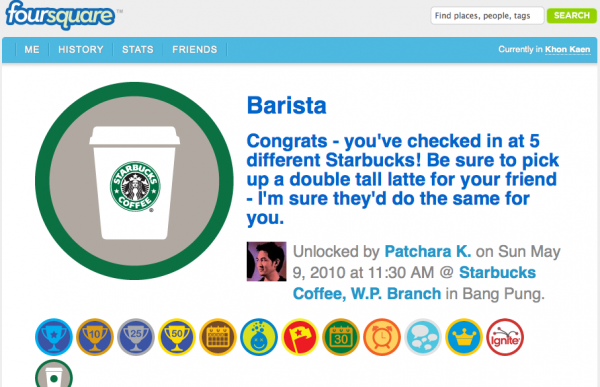 Your checkin to Starbucks Coffee, W.P. Branch just unlocked Barista – Congrats – you’ve checked in at 5 different Starbucks! Be sure to pick up a double tall latte for your friend – I’m sure they’d do the same for you.